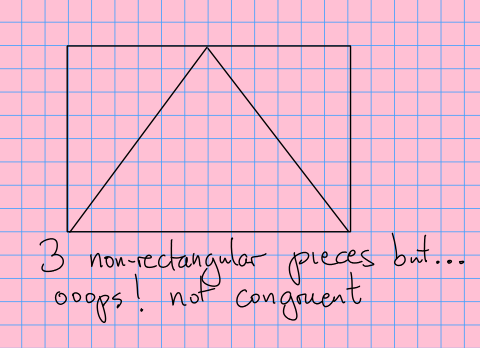 Can you cut a rectangle into 3 congruent non-rectangular pieces? This appears to be solved. A Camp Euclid group in 2016 proved that it could not be done, and then we discovered that another author did in fact have a proof for this result in 1994. There are other variations that may still be unsolved, we are currently trying to track down the complete status. The paragraph below needs some corrections. There are lots of variants of this question. The answer is also unknown if we ask for 5, 7, or 9 pieces. 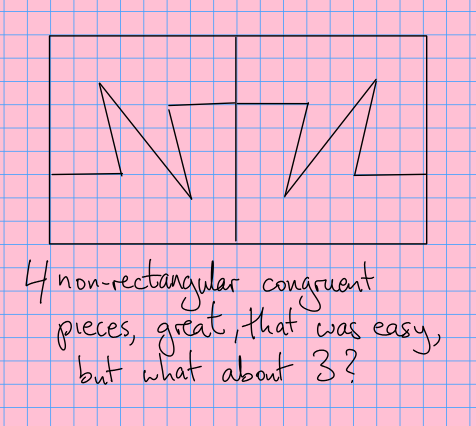 It is easy to see that the answer is "yes" if we ask for an even number of pieces, and for all odd integers other than 3, 5, 7, and 9 it is known that the answer is "yes". Another interesting version is to ask for the pieces all to be "polyominos", which are shapes made by connecting squares of the same size to each other along their edges. 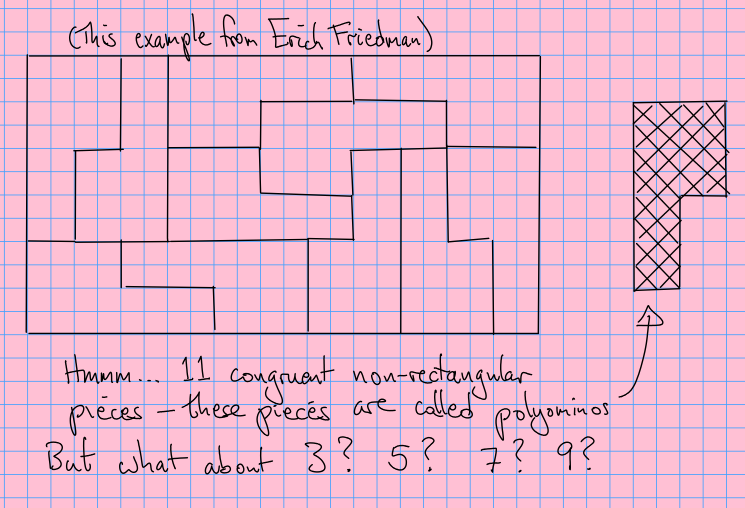 (I learned about this problem from "A dozen unsolved problems in geometry", a presentation given by Erich Friedman of Stetson University).